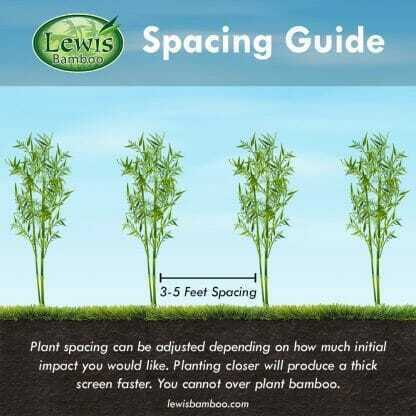 A great screening bamboo for cold climates zones. Canes are green with a yellow stripe. About 10% of the canes will have a zigzag in the lower portions of the cane. Order within 20 hours 41 mins and your order will ship Tomorrow! Canes have alternating yellow stripes and some zig-zag. Very vertical appearance, does not tend to weep or lean. Phyllostachys Aureosulcata ‘Yellow Groove Bamboo’ is a great species for privacy screens. It can get larger in warm climates but makes thick lower growing privacy screen in climate zone 6 and colder. The culms are very erect, making it suitable for planting around paths and roads. The shoots are edible. The culm (cane) sheaths are pale green with creamy streaks. Auricles and oral setae are present on mid culm. Can be absent on lower and upper portions of the culms. A very upright species at maturity. Less aggressive in cooler climates. Yellow Groove is from Jiangsu and Zhejiang in east China. In USDA Climate Zone 7 expect mature size canes to be over 40 feet in height. In USDA Climate Zone 5 expect mature size canes to be 12 to 14 feet in height. We have personally recorded this species at 46 feet and 2.6 inches in diameter in climate zone 7. 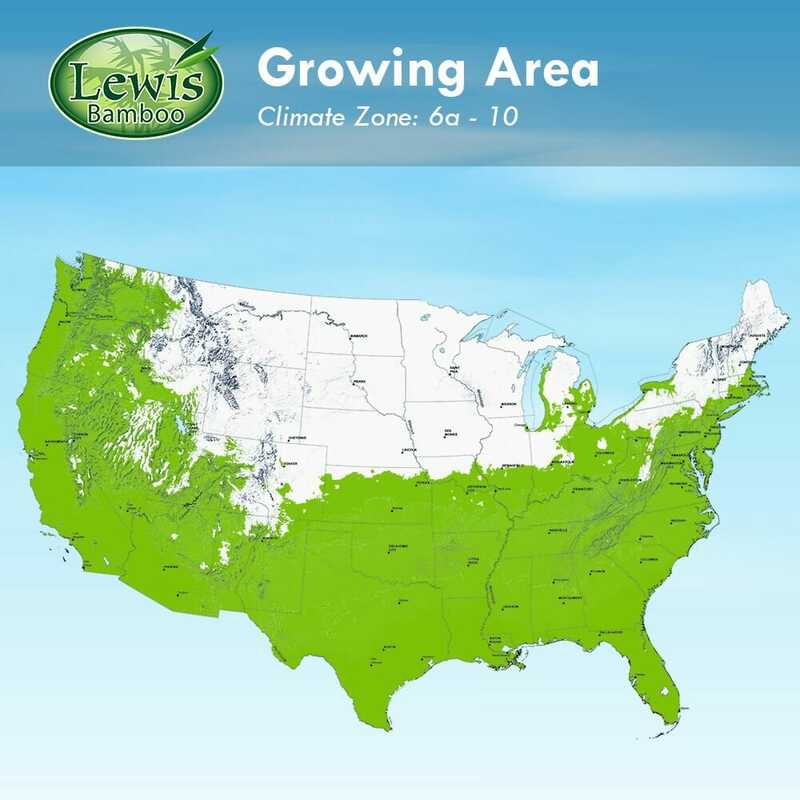 In climate zone 6 expect max height to be around 20 feet. 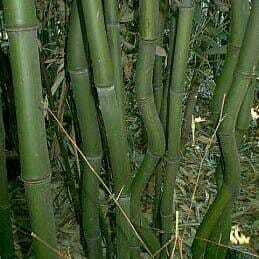 ‘Yellow Groove Bamboo’ is widely used as an ornamental because of the occasional zigzag pattern that occurs in the lower quarter of the culms. The culms also have a rough or sandpaper feel. We have customers growing this cold hardy species in parts of Minnesota, in the Missouri Botanical Gardens, University of Minnesota Arboretum, Iowa and Nebraska. One of our customers in zone 3b/4a Wisconsin where temperatures have gone to -30 reported his ‘yellow groove’ dies back in the Winter months. It comes back each Spring 6 to 8 feet tall from a 5 year old planting. At the Denver Zoo, it averages 10 to 12 feet in height by .75 inch diameter after 12 years and appears that this will be the mature average height at that elevation and climate zone 5. Plants look great and the one I received last year is growing better than expected. That is why I bought more this year. Quick speedy service...nice plant. HAVING a hard time getting it to grow. Thanks for the Great plants Roger! I bought a few plants about 2-3 years ago and they are really taking off so bought some more, love bamboo. My neighbor just cut down a major screening tree... well really it was a 10 years overgrown weed (what's the difference? : ) ... but in a tight city like DC you want all the privacy you can get : ) and the bamboo I've already ordered looks great and is going to get the job done. So another order incoming, thanks again! Thank you very much-I was SO pleased with the condition of the plants, the packaging etc. I ordered a couple from elsewhere and they are pathetic in comparison to yours!! You have a new faithful customer in the northeast now. I am so excited to watch them grow! I am using them to fill in an open area where we had some trees cut down, and the past couple of years filled in with horrific weeds and poison ivy. I cleared the area earlier this spring and mulched a large area, so its all ready for them to run! They have a nice new home! Hello Roger! Just wanted to thank you for such a healthy plant, the yellow groove I purchased hasn't been in the ground that long and already has 5 shoots (or whatever their called!) higher than the Mother plant. 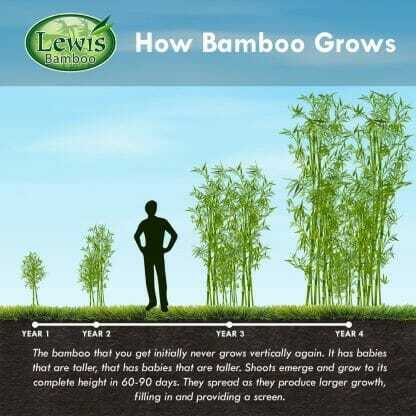 I had bought bamboo from other companies over the years with no success, I will be back! Tks!! you treated me like I was buying a hundred! new canes are a foot away from the mother plant. several groves, so you will surely be hearing from again this summer! Thought you might like a follow up. I bought the P aureosulcata three years ago and trucked it here to Butte. First winter, we got it under cover late...Jan 1...and had many days of zero degree to 5-10 below weather, not windy. All but two of the plants survived. About 20% of the plants lived but tops all died and new growth came up. About 50% of plants lived, but burn was visible...culms turned a purple color. About 30% of plants had minor leaf burn. This last winter (second year) we got them covered in November. I bought a 60 x30 ft heavy plastic and built a frame, basically covering them with a greenhouse. Also ran steam pipe into the ground, which rarely turned on. We keep root temp about 30-40 degrees in the winter. You might recall, Butte is Zone 3. I also bought a propane heater, and when we get our week or so of 30-40 below weather, I turn that on to keep the temp in the "greenhouse" just about 5 degrees. So the bamboo over wintered much better this year, and whereas some of the new growth from first summer planting died in the winter, all survived this winter. Bamboo sits in a hollow, with about 6 ft of a dirt berm surrounding it, so the ground and plastic cover really holds the heat and I don't really have to spend much money keeping the temperature adequate. I have a natural pond right next to the bamboo and we caught dragonflys for the pond to keep the mosquito's down. They seem to like the bamboo, and watching them dart in among the bamboo with the hummingbirds using the feeders in the bamboo is really quite a sight, one I never thought I would see in Montana. I had reasonable growth the first year, pretty good growth last year, and I think this summer the grove is really going to take off. I'm leaving for a long trip to Africa in May, be back in July...I'll send you a picture later this summer. You can grow anything we sell. If you are wanting a good screening and fast growing bamboo, I would look at the Red Margin.